Discover the skin-perfecting serum that helps protect and repair, providing immediate and long-term benefits with Repair Serum. A naturally-derived blend of proteins and botanicals boosts skin's natural ability to repair past damage, improve cell turnover, and enhance elasticity. This helps to significantly reduce the appearance of fine lines and wrinkles and unveil healthy looking, brighter, smoother skin within 2 weeks. 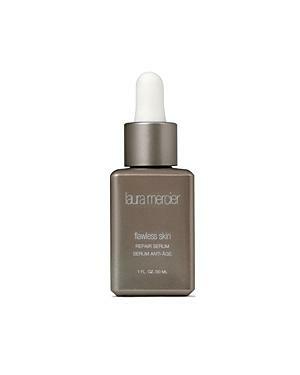 Laura Mercier Flawless Skin Repair Serum/1 Oz.